Truly a “Standing on the shoulders of giants” moment – for the 3rd year in a row I have been listed in the 2016 edition of the IAM Strategy 300, which was published last month. I am particularly thankful to my peers for nominating me for inclusion in this years list. When I started investing in my IP education 17 years ago, seemingly “before it was cool”, I did it because I was passionate about the topic, getting insight from every piece of literature I could. As a result of my efforts, I’m now humbled to be listed along side world class IP lawyers and consultants, as well as IP heads from companies like Google, Amazon, Ford Motors, Nike, and Apple. I’ve come far, but still have a long way to go! My congratulations to all those that are on the list in 2016. 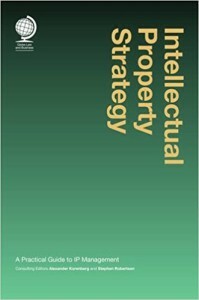 About the IAM Strategists 300: Over the course of several months, IAM researchers spoke to a wide range of leading IP professionals in order to identify people considered to be world-class IP strategists: men and women whose business is the creation, development and deployment of strategies that enable IP rights owners to gain maximum value from their portfolios. Only those individuals considered and nominated by their peers to be outstanding IP strategists are listed in the IAM Strategy 300. The IAM Strategy 300 is available in printed format and online at www.iam-magazine.com/strategy300. My apologies – all my writing drafts are with publishers! Two articles and a book chapter somehow were written in the past few months, so will be back to posted IP insights shortly. What are the key business oriented challenges that any manager or executive should be considering in 2016? Based on current patent and market trends, below are the top 5 challenges all executives or company leaders will face – these challenges directly impact R&D departments, legal groups, innovation teams, and even finance departments. It has been no surprise that as the US legal environment has shifted and as a result the IP investors have moved to find more stable environments – namely Europe. Yet while Germany seems to be the focus there still is discussion about increasing patent quality for licensable IP, and the bigger geographic picture still needs considered. Moves in IP growth across Asia Pacific (South Korea, China, and Japan) are happening in the background, perhaps a preview of where global enforcement will be in the next few years (Although Edward Jung notes it may already be there). To layer on top of this – while historically US assets were once purchased, now the IP marketplace is looking for more a global portfolio to purchase as a necessity. Several NPE’s and PAE’s are adding know-how and knowledge transfer as part of the license deals, a leading indicator that IP professionals are starting to tightly align IP with innovation programs. For operating entities this is perhaps no change on output, except to suggest perhaps the bar is being raised on transfer of the technology by the receiving parties that are being asked to pay for licenses. Compared to years past it appears if a company has the funds to extend and fight a patent infringement case, there seems a higher likelihood they can eventually defeat the patent. It seems the combination of legal tactics such as IPR filings and delaying payment (seemingly done by Samsung and Apple) are becoming common strategies considered by most firms now. The challenge of avoiding patents being so “efficiently infringed” may change in the US soon. But for patent holders that have quality patents, technology to easily transfer, and a global coverage, “efficient infringement” still remains one last hurdle at the end of a monetization program. Technology groups are converging – smart phones, connected cars, smart homes, wearables, internet of things – and with this convergence is non-traditional companies moving into new fields, such as the rumored Apple electric vehicle. Expect to see challenges by new entrants increasing new filing volume and old incumbents working to ensure future positions are protected now as R&D works to catch up to the convergence. On average the costs to acquire IP continues to be at record lows. Edward Jung has noted for Intellectual Ventures right now the average cost per asset is at it’s lowest in the history of buying assets. BRG Capstone recently presented the possibility of the price finally rebounding. 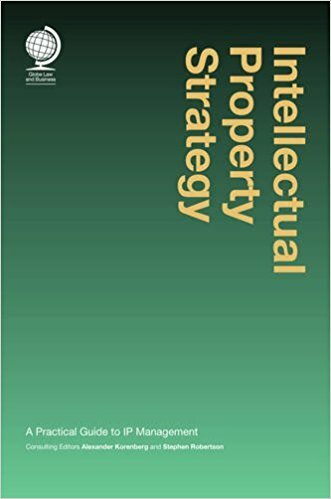 Other firms are indicating if the capital is there to purchase quality IP there will be profits to be made in the longer term. Parties linking the upcoming “IP trends” with the low priced global IP portfolios will be at a distinct advantage in the years to come. Next post I will writeup the key actions all startups, investors, executives, and business leaders – not just IP focused leaders – need to take in 2016 to address the challenges.